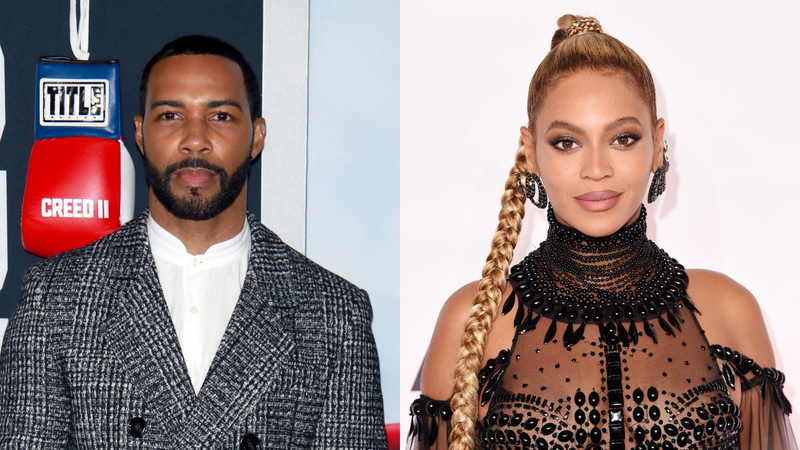 Was Omari Hardwick Out of Line for Kissing Beyoncé On the Cheek? When do we have the right to touch other people without their explicit permission? Short answer: never. That may be why the BeyHive is going after Power actor Omari Hardwick for kissing Beyoncé twice on the cheek at the NAACP Image Awards, which aired Sunday. Fans are commenting that Beyoncé looks uncomfortable during the exchange, especially after he kisses her cheek a second time. While her fans are known for going after anyone who offends their queen, in this instance, their comments are part of a larger conversation about bodily autonomy and the importance of consent. In footage of the incident shared across social media, Hardwick steps past Jay-Z to kiss Beyoncé once on the cheek and accepts a short hug from her when his win for best actor in a drama series is announced. Then he leans in for a second kiss and some people are commenting that he gets too close to her mouth. Others are commenting on how disrespectful it is for Hardwick to do this with Beyoncé’s husband standing right next to her. Ultimately, that conflates the real issue: that Hardwick seemingly ignores her body language, which is visibly uncomfortable, to go in for a second kiss. Beyoncé is not her husband’s property, nor is she Hardwick’s. She’s an independent person with full bodily autonomy, which is why so many fans are reacting so harshly to the footage. As noted by Cosmopolitan, Beyoncé fans are now sending a swarm of bee emojis into the comments on Hardwick’s Instagram profile, which is a tactic they employ frequently. Most recently, the BeyHive went after Tamera Mowry-Housley when she revealed that she low-key flirted with Jay-Z at a movie premiere 23 years ago. That swarm seemed like an overreaction, but frankly, criticizing Hardwick is more understandable. This isn’t the first time in recent months that fans have reacted to a man touching a woman without her consent during a filmed broadcast. In September, Pastor Charles H. Ellis III was called out for touching Ariana Grande’s chest during the late Aretha Franklin’s live-televised funeral services. As noted by several commentators at the time, there couldn’t have been a more public forum for this casually inappropriate touch to take place. It seems the same happened at last night’s NAACP Image Awards, which is as unfortunate as it is unsurprising.